Dr. Phil Jones, former head of the Climatic Research Unit (CRU) admits that there has been no global warming in 15 years. ClimateGate Scandal - Nov. 2009 - UN & Climate Research Unit's global warming data shown to be fake. CLIMATEGATE - the actual comments by the programmer showing how they modified the data to show warming that did not exist. CLIMATEGATE - a Fox News report on the Hiding data, destroying information, and doctoring results by the main Global Warming scientists. CLIMATEGATE - a Web page with the recent news articles about ClimateGate. State Of Fear - An excellent book to read is Michael Crichton's State of Fear. It is an excellent story with a lot of research into Global Warming and how it is not real and is being used mainly for justification of increased taxes, fund raising and political control. No decline in polar bear populations in 17 of 19 groups. - No evidence of CO2 induced global warming in the arctic - but there has been warming from ocean currents moving north causing some impact on two polar bear population groups. The rest of the bears are stable or INCREASING in population. UN "Polar Bear Specialist Group" - Getting ready to push Kyoto II, the UN is preparing to warn the world about declines in polar bear populations by excluding the worlds best expert - his anti global warming views are contrary to what they wish to present. Less Snow on glaciers around the world is often cited as an effect from Global Warming - this author disagrees. 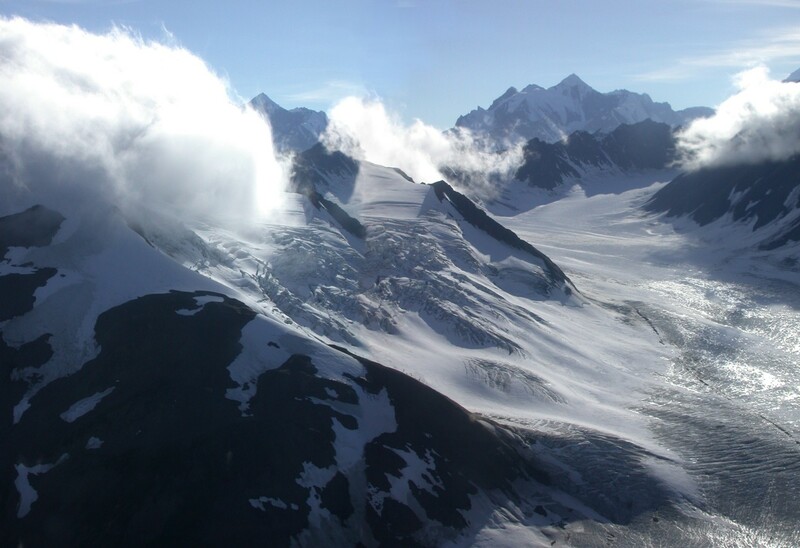 Nothing abnormal is happening to Indian glaciers," said Vijay Kumar Raina, the geologist who authored the research called "Himalayan Glaciers, A state-of-art review of glacial studies, glacial retreat and climate change. Arctic Sea Ice Recovering in 2009 to normal levels - satellite interactive maps. Arctic sea ice was at its lowest in 2007. Now its getting larger again. Article on why the Climate Modeling programs are not valid. A website that describes evidence from a US Climatologist who's government-funded research that suggests global warming is mostly natural, and that the climate system is quite insensitive to humanity's greenhouse gas emissions and aerosol pollution. - By Dr. Lindzen, professor of meteorology at M.I.T., member of the 2001 IPCC Working Group 1 on Climate Change. New Zealand Climate Science Coalition - Article showing that Mankind has an insignificant impact on the climate of Planet Earth, By Jay Lehr, Ph.D., Science Director of The Heartland Institute, U.S.A.
With hundreds of ancient temperature reconstructions well displayed in graphs, there is no "Hockey Stick" increase in any of them. Consider the cost of what Kyoto II is asking The trillions of dollars each year properly spent could cure malaria, perhaps cancer, diminish world wide poverty, and maybe bring in an era of world peace unlike any seen before. Instead Kyoto II feels it is worth giving the UN trillions to stop all production of CO2 to maybe lower the world temperatures by .5 degrees. Lorne Gunter: The hockey stick myth - An article in the National Post, Oct 7, 2009. It Discusses the inaccuracies and distortions required to get the Hockey Stick temperature graph. A serious review of the problems with the "Hockey Stick" graph of the IPCC. - Ross McKitrick, Department of Economics, University of Guelph. International Climate Science Coalition - A very well done web page of current news items and many clear presentations on the flaws in Global Warming theories. CO2 Science - A web page discussing many aspects of scientific studies that show there is no global warming. Medieval Warm Period - A Map of scientific study's locations around the world showing much higher temperatures from 800 to 1200 AD then occur now. The Global Warming enthusiasts claim there was no Medieval Warm Period. UN report: Livestock account for 18 percent of greenhouse gas emissions, a bigger share than that of transport. Nongovernmental International Panel on Climate Change (NIPCC) - an international panel of nongovernment scientists and scholars who have come together to understand the causes and consequences of climate change. Dr. S. Fred Singer and Dr. Craig Idso are co-authors. They are considered as biased against Global Warming by the friends of Al Gore. But they do actually list their references and studies and data whereas Al Gore and friends do not. concerned about the US giving up sovereignty to the UN to prevent the non-existent global warming problem. American Policy Center - article on There is no Global Warming. Note that this is an individual's web pages, and is Not a government sponsored web page. And sadly the comments are not referenced, but it is an interesting read. Global Warming Data "Lost" - The main data showing the Earth's temperatures rising with the CO2 levels has been lost. Or perhaps never existed? - A report from the International Polar Year study group, organized through the International Council for Science (ICSU) and the World Meteorological Organization (WMO). In February 2009, they were predicting that the Arctic Ice would never recover - but it did in the summer of 2009. The UN's IPCC computer projections were not even accurate for 7 months, never mind for 100 years into the future. and is still in process of being updated. We apologize for incomplete sections.